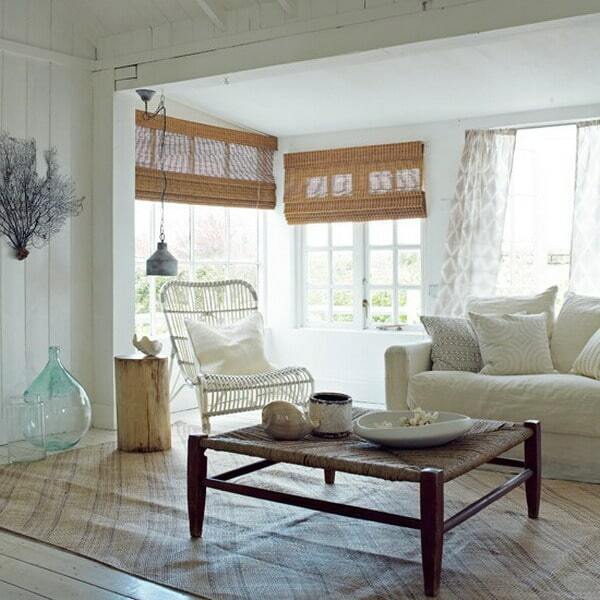 When I think of Cottage Style I think comfy, cozy and laid back. But not your grandma’s cottage. A more contemporary cottage is less cluttered but still has all the cottage charm. Eclectic furniture-finds mixed with slipcovered furnture add to the casual, organic feel. It’s a perfect style for coastal living but can be found in the city as well. I was working on a photo-shoot years ago in New York City and we found an apartment on the upper west side that was done in an Americana Cottage Style. A mix of red, white and blue plaids with pine furniture and rustic, paint peeling, cupboards. We were transported to another place by entering that apartment. If I were still living in New York City I would probably have a minimalistic cottage loft. My oasis in the middle of Manhattan. If you are looking for a more coastal look then think Martha’s Vineyard or Key West. Bring in lots of Blues, Whites, and Stripes. Add just a few nautical elements but don’t be too literal. Too much of that and you will feel like your in a theme room at Disney. Especially if you live in the city…just a touch. Select your accessories carefully and edit the room if it starts to look cluttered. The result will be a more contemporary cottage style that fits in the 21st century.